A man was left with serious injuries after he and another man were attacked near a petrol station in Horsham. 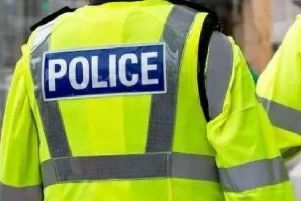 Police have released information today (July 10) about the incident in Crawley Road in which a 22-year-old man and a 23-year-old man were assaulted in the early hours of Saturday June 30. Officers said the pair were walking home from the Redkiln Way area, close to Tesco Express, when they were attacked between 4.30am and 5am. The 22-year-old suffered serious facial injuries. Following enquiries and a search of the area a 19-year-old man from Pulborough and a 20-year-old man from Horsham were arrested on suspicion of grievous bodily harm and of assault by beating. Officers said after being interviewed they were released under investigation. Anyone with any information is asked to contact Sussex Police online or by calling 101, quoting serial 233 of 30/6.